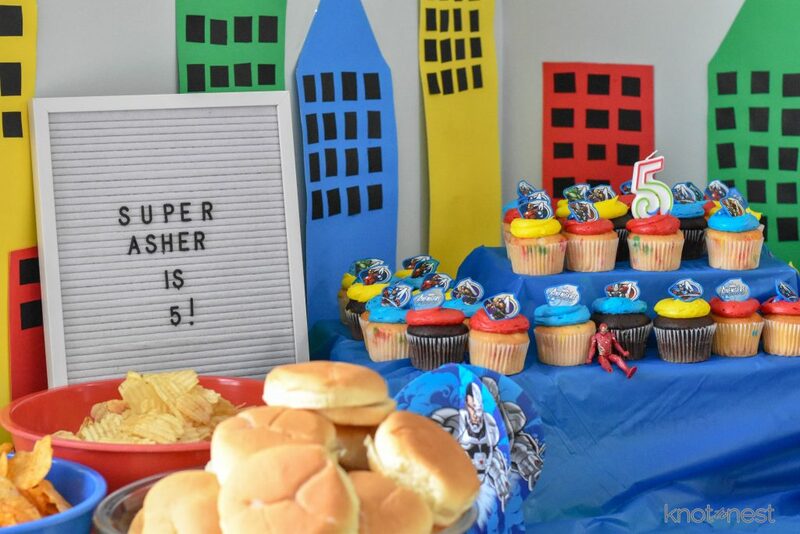 Last weekend we celebrated Asher turning five with a superhero themed birthday party! 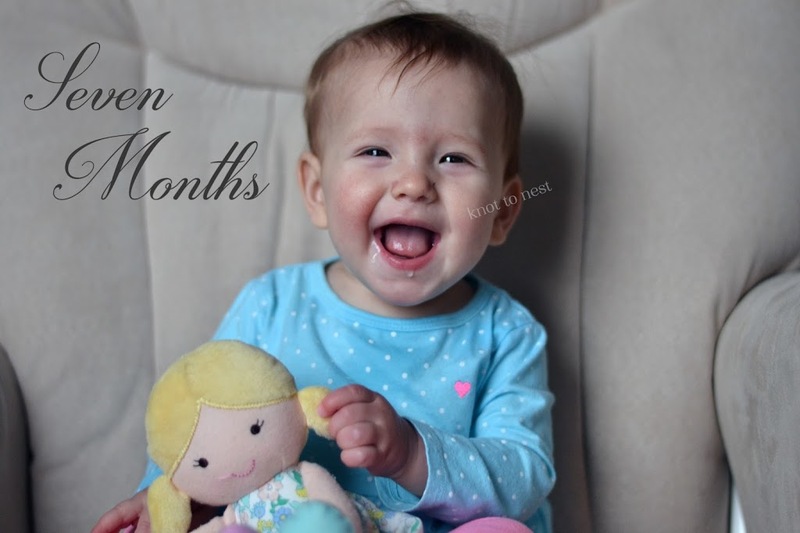 In all of the birthday parties I have planned, I have to admit this one was one of my favorites! 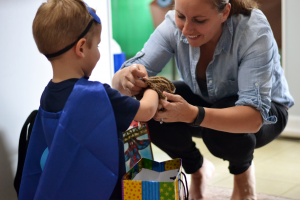 Over the last year, Asher has grown to love superheros. Not any specific hero or even league but rather just the idea of superheros helping stop “bad guys”. 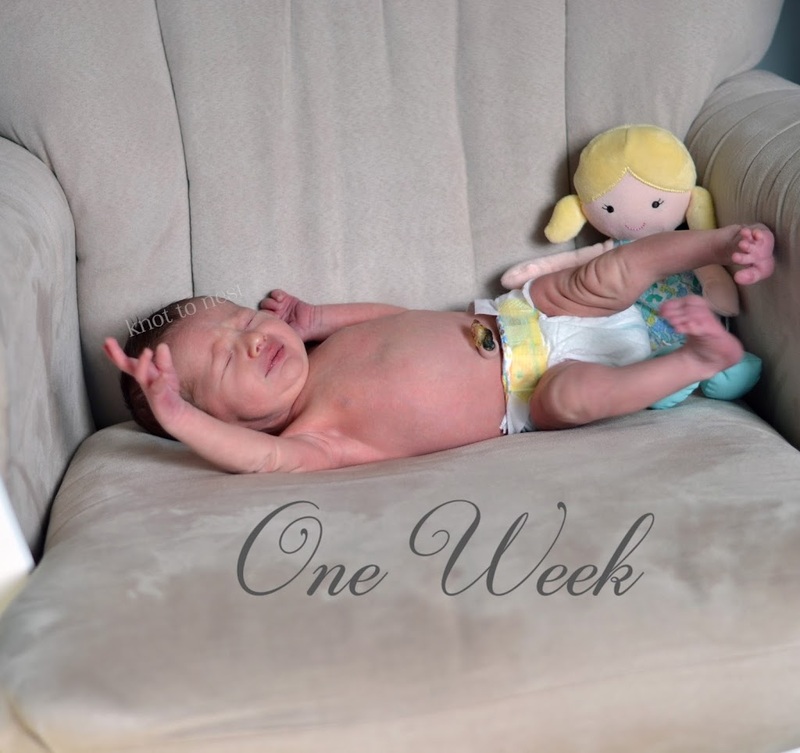 With no favorites on his end and a very limited knowledge of superheros on my end, I opted for a mash up of superhero. 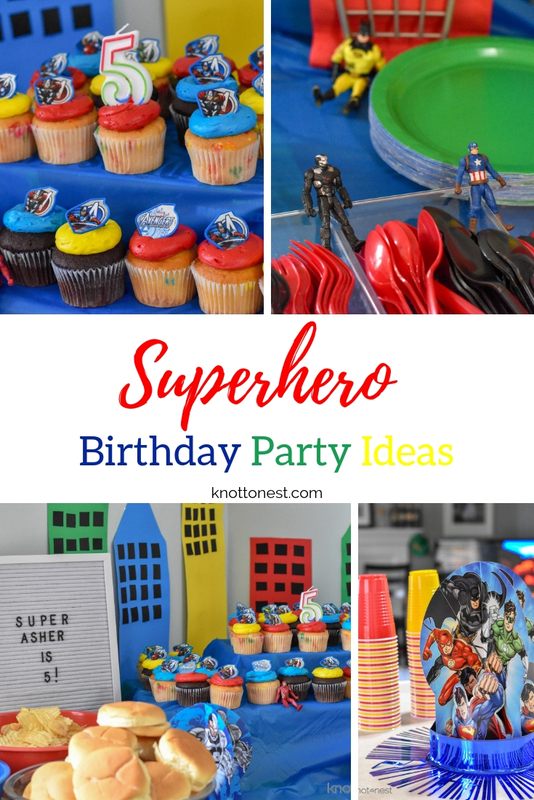 To keep with a general superhero theme, I opted for a palette of red, blue, green, and yellow. 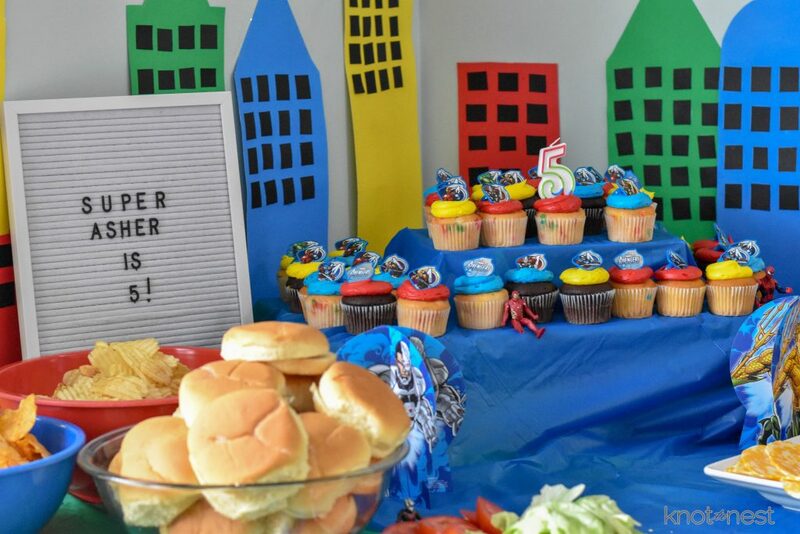 Using poster board I created a cityscape background for behind the food table. 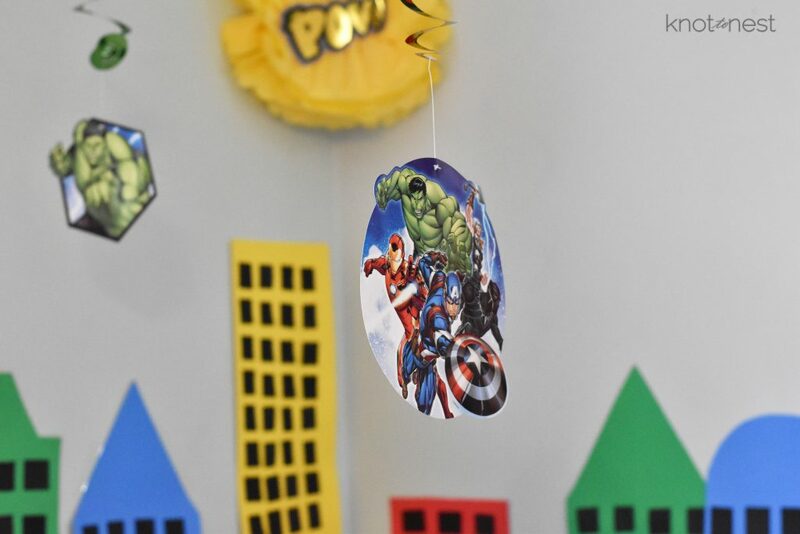 To add specific superheroes to the mix, Justice League and Avengers decorations packs were purchased for less than $10 at Party City. Making further use of the color palette, I used the colors to reflect a specific superhero. 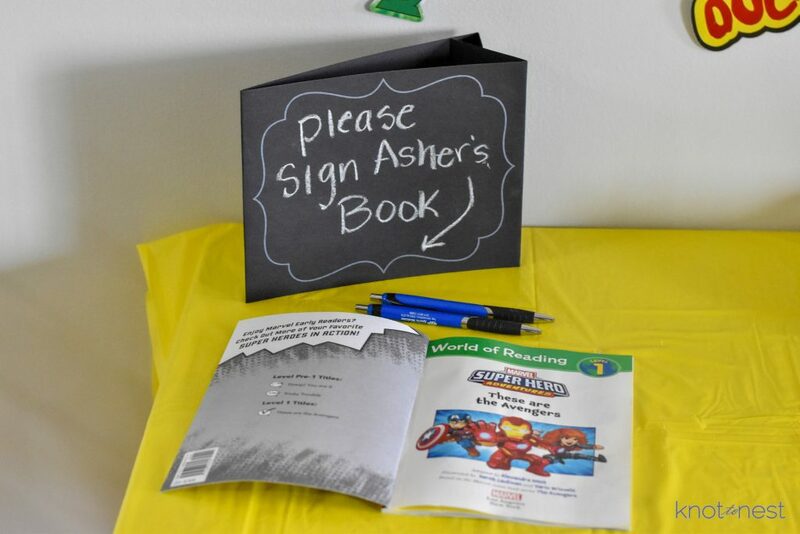 This provided a budget-friendly way to add thought to the party. 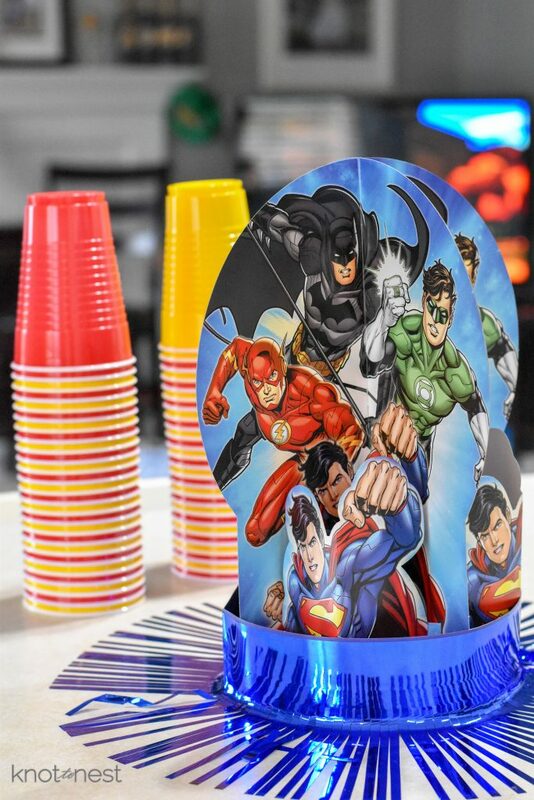 I used red and yellow to reflect Superman with our cups and black and red cutlery for Spiderman. 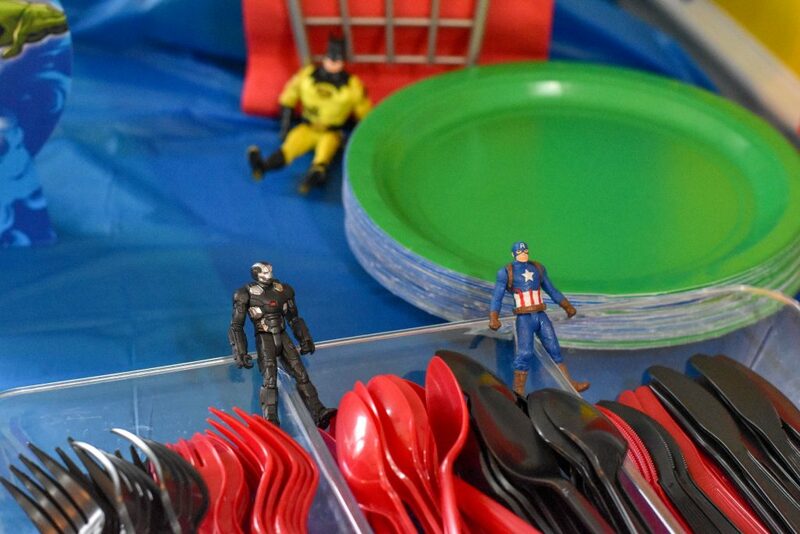 And green plates for Hulk. 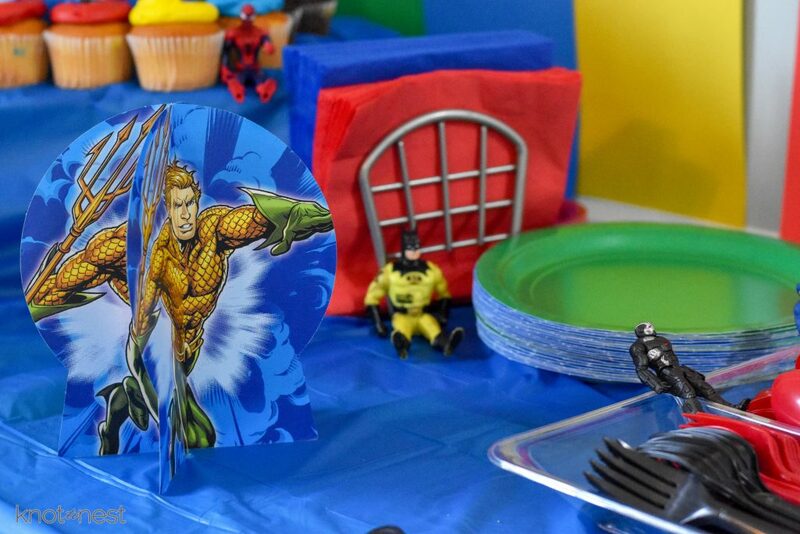 Using Asher’s superhero figures made for easy decorations throughout the food table. 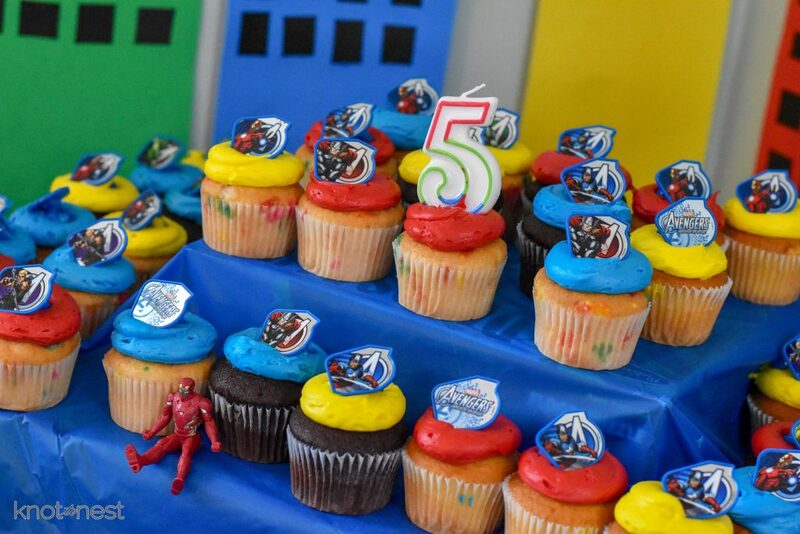 The delicious cupcakes were purchased at a local store. 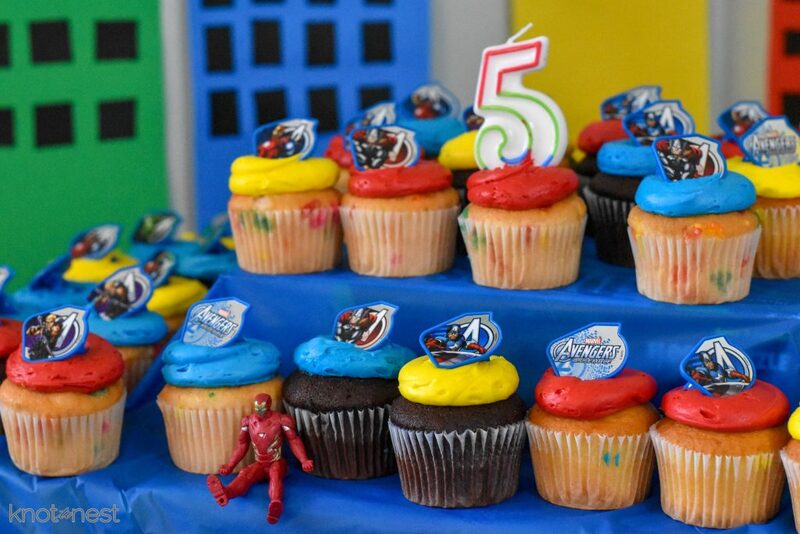 Icing in the basic palette and Avenger rings to pulled them firmly into the superhero theme. 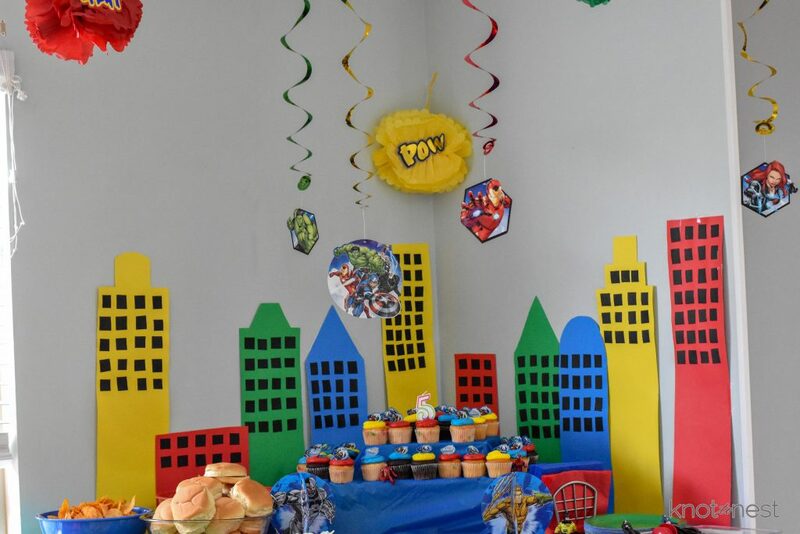 Overall the goal of this party was to have a fun day celebrating our little man and creating a fun superhero filled day for him to enjoy. 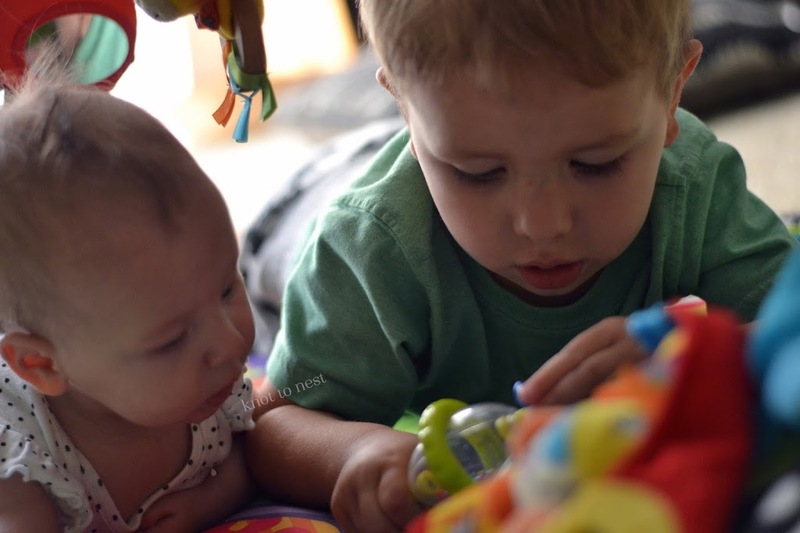 Spending the afternoon with friends and family and hearing the giggles and squeals of joy as the kiddos ran in and out of the yard playing and having a great time made my heart so happy.